Chinese is a tone language. It has four basic tones, which are indicated respectively by the tone marks:ˉ (first tone) 阴,ˊ (second tone) 阳,ˇ (third tone) 上, andˋ (fourth tone)去. There is also a neutral, so-called “fifth tone”, which is unstressed and goes unmarked. Question particle When a syllable has no tone mark exists, it is called Neutral Tone and is pronounced both light and short. When there is only one vowel in a syllable, the tone mark is put above the vowel. – If there is an “a” or an “e”, it will take the tone mark. – If there is an “ou”, then the “o” takes the tone mark. – Otherwise, the second vowel takes the tone mark. If the tone is written over an “i”, the dot above the “i” is omitted, as in “yī”. I think the sound for second tone ma is incorrect. Please check. Thanks. 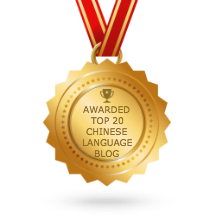 You can check the sound for the má at Pinyin chart, http://www.learnchineseeveryday.com/tools/pinyinchart.php. Please let me know if it is incorrect.